Contrary to many people’s experiences, I didn’t start watching anime when I was a kid. Cable was a luxury my household didn’t have, and even if we did, I know my parents would’ve restricted my access. Instead, my experience with anime came much later when I was a full-fledged adult and working a somewhat respectable job. The post-Christmas pause was happening across our favorite TV shows, so my husband and I decided to give anime a try. We started with Dragon Ball Z. Back then, I knew zip about Dragon Ball, and even less about anime. I didn’t realize Dragon Ball Z was the second half to the Dragon Ball story and not its own entity. I didn’t know there were multiple scores, dubs, and versions to choose from. And I certainly didn’t understand how influential Dragon Ball was to modern shōnen storytelling in Japan. But when I watched the Dragon Ball Z Funimation dub—despite the fact it was plagued with wooden voice acting and inaccurate dialog—I began to understand just how special anime was. When Goku went up against the villain Cell, there was a desperation to the fight which drew me in. I was utterly captivated as I watched the flurry of punches, rapid movement, flips, and distorted faces. I’d never seen anything like it, and since watching DBZ, I’ve come to realize there are two main factors which contribute to the appeal of anime. When many people think of anime, they either think of girls in short skirts running around some high school hallway, or of burly men shouting as they power up. To assume anime is one or the other is a huge misnomer; anime is still an important medium for storytelling in Japan, airing on Sunday mornings for children as well as weekday evenings for adults. Anime has a long history, but suffice to say its place in Japanese media has to do with its connection to manga and animation being cheaper to produce than large-scale live action shows. Instead of thinking about anime as a genre, think of it as a medium for storytelling which can target different demographics. For instance, in the US we have shows aimed at high school girls and we have shows aimed at men over 40. There’s also good storytelling on US television and bad storytelling on US television. No one would think of judging the whole of american television by one or two shows. When you understand anime in the same way and not as a genre, you’ll realize there’s a story for everyone. Some of the best storytelling I’ve ever encountered is from Japan, and this is due to a larger acceptance of storytelling risk. The best anime always try to communicate something about the human condition. I’ve watched anime shows that left me raw as they poignantly tackled racism, life after death, standing up to tyranny, the nature of man, abandonment, self-sacrifice, surpassing limitations, and a whole lot more. I still feel the effects of anime I had watched years ago because I continue to digest the messages they conveyed. Of course, there’s a lot of anime which is comedic and its sole purpose is to put a smile on your face. There’s just as much merit in that type of storytelling, and the Japanese have an excellent sense of humor. Dynamic stories almost beg for dramatic animation, which is the second piece to the appeal of anime. The Japanese animation style distorts reality by over-exaggerating expressions and seamlessly switching between fast and slow pacing during sequences. This allows your eye to better track the movement of characters and draws your attention to the art itself. As you watch, the movement and plot are on equal footing in your mind. This highly stylized form of animation is especially prevalent in action fights, and there’s no better example than animation done by Naotoshi Shida. 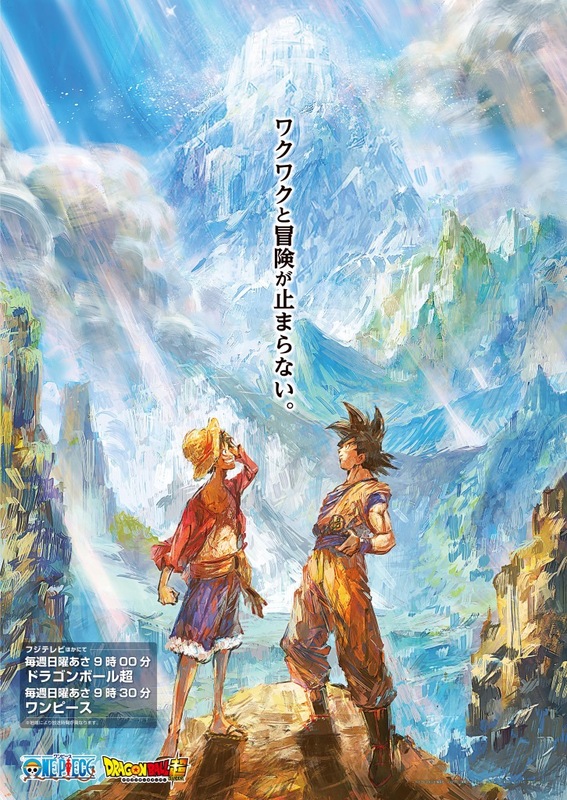 Naotoshi Shida is considered to be one of the industry’s best action animators, and while his portfolio has spread across many shows in his over 30 years of animating, he’s best known for his work on Dragon Ball and One Piece. Toei Animation’s One Piece is an adaptation of Eiichiro Oda’s manga of the same name, and it follows the adventures of pirate Captain Monkey D. Luffy and his crew as they fulfill personal quests and search for the One Piece treasure. In Toei’s latest full-length One Piece movie, One Piece: Gold, Shida was given the opening fight to animate. The scene is a dizzying three minutes long—featuring an introduction to each member of the Straw Hat Pirates and their respective fighting styles. The scene is a perfect example of how stylized visuals can be used to their fullest effect, and showcases how different Japanese animation is from its western counterparts. Pay special attention to how Shida seamlessly switches the pace of the action between fast and slow—directing your attention to each segment of the fight. Also notice his perspective shots, and how he warps reality by curving the blade Zoro runs on instead of simply drawing it straight. Many anime fans (myself included) track their favorite animator’s work, often debating which clips are the best and waiting for the animator’s next contribution. Key animators are usually allowed to put their personal flair on whatever segment they’re working on, so it’s easier to identify an artist’s work if you know what to look for. Animation in Japan is mostly hand drawn with pencil and paper, which gives more credence to anime’s appeal. When story and art come together, it makes for a powerful medium. If a picture truly can paint a thousand words, then it’s no secret why so many people are heavily invested in anime. The eye-catching colors, stylized artwork, phenomenal soundtracks, and a story for every type of person makes anime easy to get hooked on. It’s really about picking your poison and binge-watching to your heart’s content. So if you’ve never given anime a try, I recommend finding a list of highly rated anime, picking one that sounds intriguing, and giving it a go.